Experience beauty and versatility! Bring your bike, your horse or your buddy on the Katy. Welcome to Katy Trail State Park, the longest developed rail-trail in the country. Katy Trail State Park attracts people of all ages and interests. Whether you are a bicyclist, walker, equestrian, nature lover or history buff, the trail offers opportunities for recreation, a place to enjoy nature and an avenue to discover the past. The park, built on the former corridor of the Missouri-Kansas-Texas Railroad (MKT or Katy), is 240 miles long and runs between Clinton and Machens with 26 trailheads and four fully restored railroad depots along the way. The section of trail between Cooper County and St. Charles County has been designated as an official segment of the Lewis and Clark National Historic Trail. Katy Trail is also part of the American Discovery Trail, has been designated as a Millennium Legacy Trail and was added to the Rails-to-Trails Conservancy Hall of Fame in 2008. Trail users have the opportunity to wind through some of the most scenic areas of the state with the majority of the trail closely following the Missouri River. The park also takes users through a slice of rural history as it meanders through the small towns that once thrived along the railroad corridor and reflect the rich heritage of Missouri. 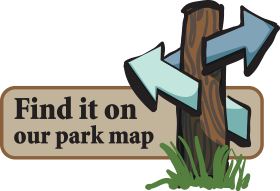 Information at the trailheads makes a ride or walk on the Katy not only a healthy adventure, but also an educational one.